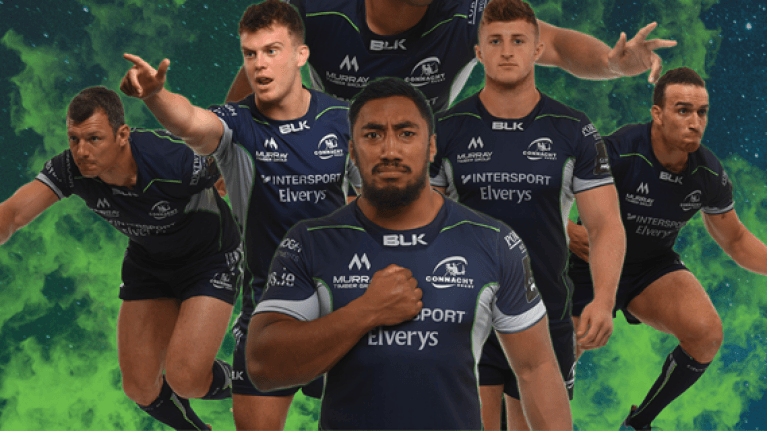 Connacht Rugby in partnership with BLK Sport, have unveiled their new alternate jersey for the 2018/19 season. The new jersey is made with BLK’s exclusive Exotek fabric throughout the main body bound with reinforced cover stitch and lycra paneling. Exotek was created exclusively by BLK to enhance athlete performance, while maximising player maneuverability. The new alternate jersey draws inspiration from the deep Atlantic Ocean, with a solid navy body, silver lycra paneling and logos, finished with striking fluro green piping and cover stitch detail. The jersey also features a unique silicon gel logo application and fluro green Connacht branding on the lower back. The new alternate jersey and training range are exclusively available at Intersport Elverys and online at from Friday 14th September.